INSCRIPTION - BANER, 65 X 800 CM, SITE SPECIFIC PROJECT IN CZECH CIESZYN. This inscription in Polish, Hebrew and Czech written in original type form the plans of the synagogue building from the 1920th – recalls the history of synagogue as well as the city of Cieszyn. Written word maintains the memory. It is a document of the past. Boundary place literally and figuratively. The city branded by the history of nationalistic conflicts between Polish, the Jews and Czech. The Guards of Sabbath – significant, non-existent inscription of metaphorical meaning. The building of the former synagouge from 1928, was designed by well known local architect Eduard David. A ritual baths was there since 1935. As the synagog was situated among many others houses of Breitegasse street – it was protected the building from Nazis during World Wor II. Thought the interior of the synagog was nearly completely destroyed, after 1945 the build- ing was still served as a house of prayer for Jewish community in Czech. 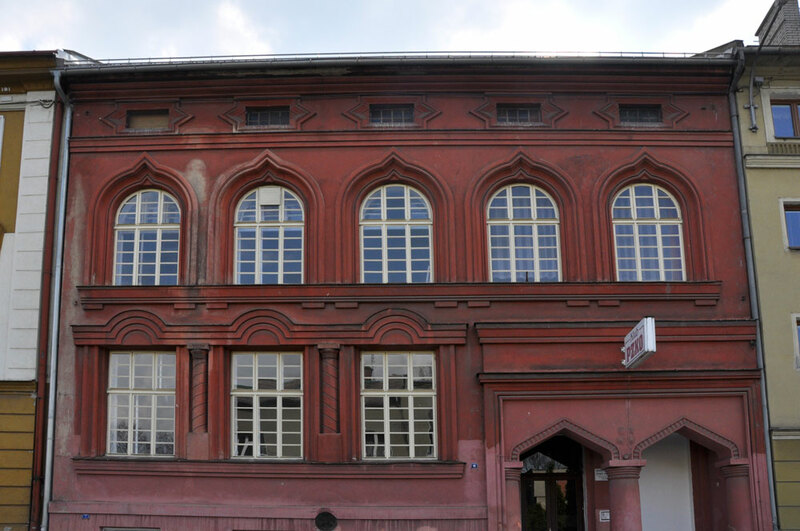 In 1967 the building was sold to Polish Culture-Education Association which restored it and wall up the entrance for women. 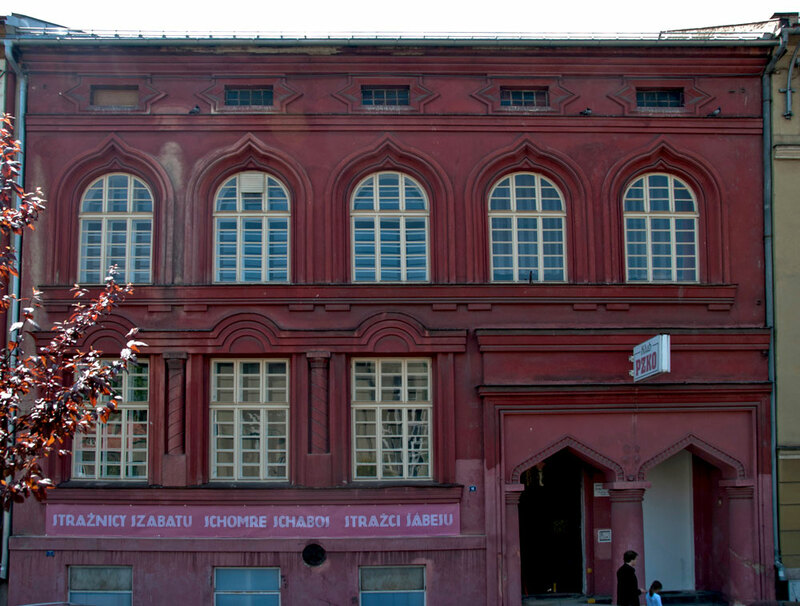 In the 1970th on the facade the old pre-war inscription “Schrome Schabos” was still visible on the building’s facade.